Brevard County teachers, students, support staff, parents, firefighters, letter carriers, machinists, and community members rallied in front of the School Board of Brevard County in support of competitive wages for Brevard’s public schoolteachers and support staff. The board room filled up quickly, with both overflows being opened. People lined the walls and sat on the ground, and some people who came to the public meeting were even turned away. Brevard’s teachers are above average in performance, second in experience in the state, yet are paid $1,103 below the state average. A spokesperson for the district cited security as a reason why teachers were not getting a competitive pay offer. “The idea that teachers should have to choose between a living wage and the safety of their classrooms is a shame,” said Vanessa Skipper, Vice President of the Brevard Federation of Teachers. All districts received the same FEFP funding from the state and many have already given their employees a raise that keeps up with inflation, and in many cases, exceeds it. “We passed the half cent tax to help with many aspects of school security. Not only has it added funds for this purpose, but the funds generated have come in at higher than expected. 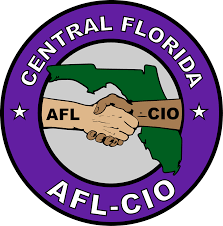 The idea that there isn’t money to give us a raise that is competitive with our contiguous and comparable counties is inaccurate,” said Anthony Colucci, President of the Brevard Federation of Teachers.